Hundreds of campesinos inch their way through the streets, with the largest swell of crowds between 10am and noon every thursday. Experience the chaotic and authentic animal market up in the field behind the Iglesia de San Vicente, where ducks, chickens, sheep, piglets and guinea pigs (ranked among the most delicious in the country) change hands, while, all around, loudspeakers compete in volume to advertise the latest miracle cures. 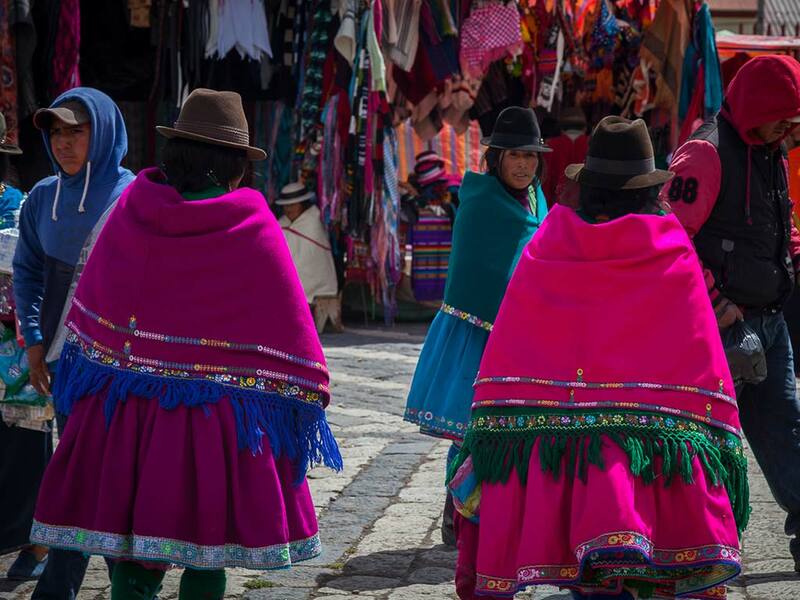 This excursion starts at 6:30am to visit this off the beaten path and unique market. After serving a fresh and healthy breakfast, you’ll be driving from 30 meters above sea level to 2500 through breathtaking scenarios of the mountains. We will arrive at 10:00am to experience the frenzy Guamote market and live an unforgettable genuine experience. A box lunch will be served at noon before returning to Hacienda La Danesa. Estimated time of arrival at Hacienda La Danesa is at 4:00pm.